The Bachelor's in Psychology degree program is an entry-level degree program that can assist students with pursuing careers in mental health, counseling, or even research. Most colleges around the country offer the Bachelor's in Psychology, since it is a stepping stone for licensure in all states. Bachelor's in Psychology programs include a look into the very foundation of psychology from its development, the different psychology ailments and disorders, and the way that humans develop from conception until death. The Bachelor's in Psychology program consists of 120 credit hours of coursework. This includes both the general education components and the degree-specific courses required for graduation. As a student within this program, you can expect to spend close to 2 years finishing coursework such as Algebra, History, and English Composition. This is a requirement of all bachelor's programs, regardless of your specialization. The general education component can also provide you with a well-rounded experience in subjects that are common within society, which can provide you with a more diverse pallet of knowledge for your career. Saint Joseph's University offers online Behavior Analysis Degrees and Certificates at the undergrad and graduate levels. Become eligible to sit for the Board Certified Assistant Behavior Analyst (BCaBA) with the online BLS in General Studies with a concentration in Autism Studies. With the Autism Studies concentration, you will: Take Behavior Analyst Certification Board (BACB) approved courses, learn autism theories, techniques, treatment, and therapies, gain field experience with three practicums, and fulfill BACB requirements to sit for BCaBA certification exam. The second 2 years of your bachelor’s program focuses more specifically on psychology-oriented coursework. 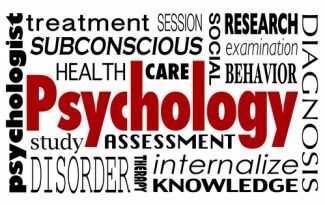 The field of psychology is extremely diverse on its own, and consists of topics that range from development of the human mind, abnormal psychological disorders, and counseling methods. 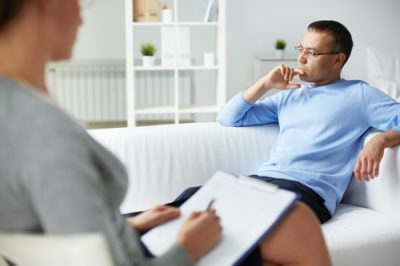 Students at this level may also delve into proper research techniques and ethical treatment of clients, which is another large component in providing mental health services to the public. Like most bachelor’s programs, the Bachelor’s in Psychology requires that students submit an application for enrollment to universities, along with documentation of high school transcripts, a copy of a high school diploma, and any test scores from the SAT or ACT. This information can help universities determine the amount of pre-requisite courses that are needed during the first few years of your bachelor’s degree. Although uncommon, there are still some bachelor’s programs that require students to obtain a relevant Associate’s in Psychology prior to entering into their program. These types of degree programs may have a minimum GPA requirement of around 2.75 in addition to the degree requirement. Students that have some credit hours at the college level may need to provide proof of completion of these courses prior to being admitted into these programs. Intro to Psychology: This course helps students learn the basic functions of the human emotional, cognitive, and behavioral functions. The history of psychology as a discipline is also touched on within this course, to help students understand the development of this branch of health science. Statistics for Behavioral Sciences: Students taking this course can learn how to apply statistical properties to the field of psychology. The principles of measurement, variability, probability, and correlation are some of the topics that may be discussed within this course. Lifespan Development: Lifespan Development can help students learn about human development from conception until death. A particular interest in personality, cognition, and physical development is paid in this course. Abnormal Psychology: This course examines different psychological disorders from a practical standpoint. Students can learn the terminology, classifications, and assessments associated with these disorders. Cognitive Psychology: This class teaches students how to address the acquisition and development of human thinking. Perception, memories, language, and decision-making are a few of the topics that may be discussed throughout this course. The field of psychology has many branches of thought that can help shape your understanding of the human mind and behavior. While in Bachelor’s in Psychology programs, you are likely to take part in many investigations into different theories in psychology. Our team of educational experts has looked into psychology programs all over the country to provide you with a list of different theories and concepts that you may encounter throughout your educational experience. Erikson’s Theory of Psychosocial Development is one of the many theories introduced during bachelor’s level education. This theory helps students gain a more fundamental outlook on how lifespan development and experience can play a role in later personality development. This theory, in particular, supports the idea that people can have positive or negative outcomes depending on how they cope with dilemmas that are experienced in earlier life. The development of trust or mistrust, initiative or guilt, and ego integrity or despair are a few of the lifespan outcomes that Erikson promotes in his theory. When John Watson introduced Behaviorism in the early 1900s, this concept within psychology grew at a rapid rate. This branch of psychology is concerned specifically with behaviors and actions that can be witnessed and documented. By observing behaviors, supporters of this field believe that much can be learned about why people engage in different actions. This popular theory in psychology also provides methods for changing and molding behaviors in an effort to create more acceptable behaviors. An interesting fact about this theory is that it only takes into consideration the behaviors that can be seen and does not consider emotion or thought. Unlike other theories in psychology, Humanism takes a more personal approach to understanding individual thought and behavior. This theory teaches students to see people as individuals and take their private interests and experiences into consideration during analysis. Personal perception and interpretation are a large part of what makes this theory unique in psychology. In psychology degree programs, you may be introduced to many different theories pertaining to personality. One of the most popular theories learned in undergraduate degree programs is the Big 5 Personality Theory. This theory states that there are 5 dimensions of personality in which people can be rated. Extraversion, agreeableness, conscientiousness, neuroticism, and openness are the 5 dimensions that are discussed in this theory. Since Bachelor’s in Psychology programs are so popular among upcoming professionals, you may be able to find these programs within each state. Penn State Online is a popular online university that offers the Bachelor’s in Psychology to students that are seeking flexible schedules and student-driven learning experiences. This program requires that students complete 50 major credits, 21 Arts credits, 39 general education credits, and 13 elective credits. This entire program can be completed in around 4 years at standard full-time enrollment. The University of Florida online is another competitive university that students can use to obtain their Bachelor’s in Psychology. This reputable university offers students the opportunity to gain more expertise in the field of psychology through an online setting in around 4 years total. This program requires that upper division college entrants have a minimum GPA of 2.75 in order to be accepted. Lastly, Arizona State University is another university that offers a BA in Psychology completed online. This program consists of courses that last 7.5 weeks each, totaling 40 classes for the entire program. Students that are interested in completing their degree at a faster rate may find this program desirable since the fast track option is available to all students. 120 credit hours are required for graduation. The advantages of obtaining your Bachelor’s in Psychology online go well beyond what most would expect. In traditional education programs, students are stuck scheduling around all-day classes, labs, and meetings. It is difficult to find extra time to hold a full-time job or even have time for recreational activities with a full load in a traditional setting. Online degree programs are attended through an innovative, online environment that encourages students to work at their own pace. Due dates in these programs are typically flexible, with students having the option to turn in assignments at any time up until a designated due date. Communication in online degree programs is done through online discussion boards or email, making contact instant for students that have questions for teachers or other students. For psychology programs in particular, the online environment is a great place for students how to use the internet and its reliable resources for research and further learning. Psychology itself is a highly research-oriented field that requires students to learn about many different theories and applications of the science from history forward. College programs that are conducted in an online setting can help students learn the fundamentals of online research, identifying reliable sources from unreliable sources, and using the internet as a platform for communication with other professionals within your field. There are plenty of entry-level career options for graduates of the Bachelor’s in Psychology program. Social services is a huge provider for careers at this level, but students can find careers working in business, law enforcement, and even education at this level. Our team of educational experts has provided a list of potential careers for you to browse below this section. After determining if you have all the requirements to start your journey on earning a Bachelor’s in Psychology, you will need to start understanding the differences between each school’s program. Do they offer online aspects to their psychology degree program? What is the teacher to classroom size ratio? Start looking at all of these different aspects and decide which program is best for you.